What canyoning Well exactly, and what does it now? 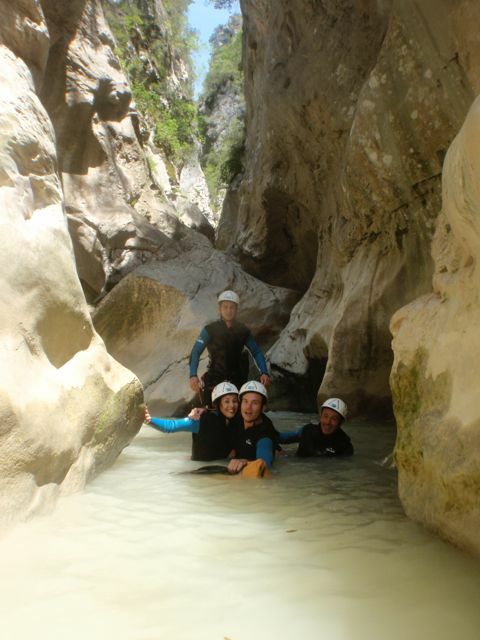 Canyoning is a mountaineering we where a gap (de canyon) carved by water down through abseiling, slide and jump. We use special techniques to rope down to get everyone safely and responsibly. Your guide will teach you the techniques to descend independently with a rope. A slide, as the name suggests, a piece of rock where we can slide down while sitting on a coil. If the pools are deep enough, we can jump down if you want. Rest assured, you just need to jump or slide anywhere. 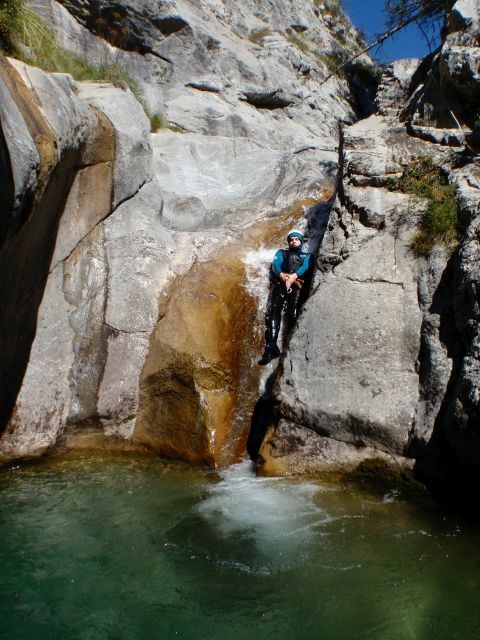 If you like abseiling prefer is no problem. – The day before we have agreed a clear meeting place near the canyon. 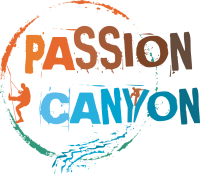 – At the appointed time and place, your guide will be waiting for you at the beginning of the canyon drive. – In the parking lot all the material distributed to the group what we need (wetsuits, belts, helmets, ropes, backpacks, waterproof barrels). – We walk into our swimsuits at the entrance of the canyon where we get changed into our wetsuits. – We live together a fantastic adventure! During the canyons that last one day we will have lunch on the way somewhere in the canyon on a nice sunny spot. – At the exit of the canyon we do our wetsuits again and walk back. 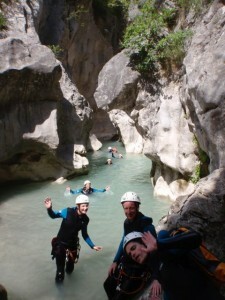 What do you all on a canyoning trip? – Swimwear (if your morning at home or on the site already does so it does not require you to dress up in the parking lot). – A few sneakers (no sandals or other open water shoes). – A packed lunch (paar boterhammen, some energy bars) of the canyon 3 hours or longer lasting, otherwise a couple of energy bars (mueslirepen). Not too much because it should all fit into the waterproof barrels. – If you are a glasses contributes think of a string to tie it behind your ears. Did you contact please take a few throw away lenses with you instead of your expensive hard lenses. – Dry clothes and towels are left behind in the car.